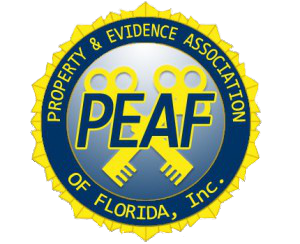 There are currently three PEAF committees. If you are interested in volunteering on one of the committees, contact the chair. Beverly Hunt- Chair Lake Placid P.D. Dawn Ramage Ft. Lauderdale P.D. Penny Cyr Tarpon Springs P.D. Karen Watson Jackson County S.O. Patricia Ballard Escambia County S.O. Anne Antoniello Clay County S.O. Renee Bassett Riviera Beach P.D. Kay Bradshaw Collier County S.O. Diane Foreman St. Augustine P.D. Kaley Tilney Pinellas County S.O. Linda Hypes Pasco County S.O. Robert Martin Volusia County S.O. Brandon Pannone Lee County S.O. Ryan Runge Port Richey P.D.